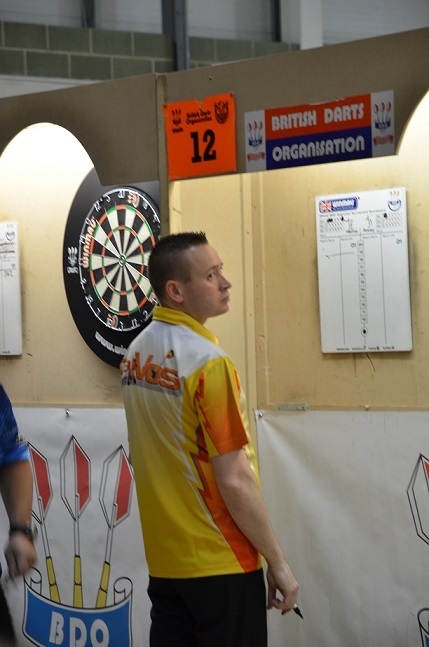 Geert de Vos already plays darts for around 15 years. He's member of the Belgian national team and took part in several Europe Cups and World Cups. 2011 was the till now best year in his career. He reached the quarterfinals of the World Cup singles, the Dutch Open, the German Open and the Romanian Open and stood in the semi-finals of the French Open. 2012 and 2013 he won the German Open. In 2015 de Vos was the winner of the second BDO World Darts Trophy. He qualified for the first time for the BDO World Championship 2012 and reached - as in 2013, 2014 and 2015 - the last 16.